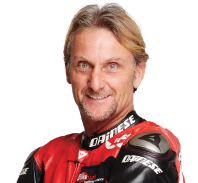 If you're looking for quality sports bike insurance at a price you'll like, then Bikesure, the specialist motorcycle insurance division of Adrian Flux, can help. We have access to a wide variety of specialist performance bike insurance schemes, and can offer cover tailored to your exact needs. With fantastic prices on young rider insurance and cover for experienced riders, commuters and superbike enthusiasts we offer a complete low-cost, high quality service to all owners of performance bikes. And as a specialist broker, we can offer cover whether your superbike is one of the original 1980s Suzuki Gixxers, right through to the latest Honda Fireblade, BMW S1000RR or Ducati Panigale. Whatever your lifestyle, there is probably a sports bike out ideally suited for you, but finding a reasonable sport bike insurance quote may be somewhat trickier. The problem is that a lot of motorcycle insurance companies don't understand the particular needs of the sports bike owner. They don't take account of the various ways in which performance bikes differ from other motorcycles, and as a result, the unwary superbike rider may be charged over the odds. When you take out a sports bike insurance policy from Bikesure, you can be confident that the policy matches your needs as a performance motorcycle owner. That's because we have access to an array of specialist insurance schemes, many of which have been designed purely for superbikes. Modifications, so often a problem to insure, can be covered on a like for like basis, with cover available for everything from crash bungs and exhaust mods, right up to extensive customisations. If you have more than one bike, we can offer you a multibike insurance policy with a single low premium for all of your bikes, saving you time and money. We can often help, even if you have had trouble obtaining a quote elsewhere for your sports bike, because our staff can assess the risk individually, taking into account relevant factors that a computer system couldn't. 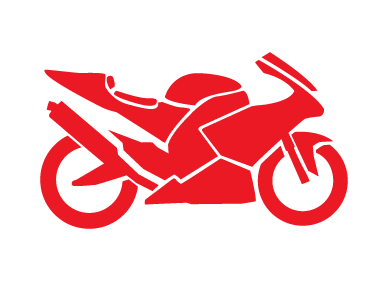 We can even offer convicted rider insurance for superbike riders with motoring convictions or criminal convictions. What's more, because we work with a wide range of insurance providers, we can help you find the right policy for your needs and help you save money without ringing dozens of companies. Call now to speak to a member of our knowledgeable quotes team to take up the policy or discuss further options. Because our sports bike insurance is tailored to your needs, you can choose which features will benefit you most. Every policy comes with £100,000 of free legal cover, but we also offer optional add-ons including personal injury cover, comprehensive breakdown cover and protective clothing and helmet insurance. Many of our superbike insurance discounts are only available over the phone. Remember, you'll get the best superbike insurance deals if you speak to us on the phone. We can take your individual circumstances into account to bring your price down substantially, because our staff can look at things in a less rigid way than a computer. Our highly trained staff can answer any questions you might have and advise you on the features available from your policy. Bikesure's superbike policy did the business! I had all sorts of trouble getting superbike insurance for business use on a Honda Fireblade worth £11,000 - solely because my no claims bonus was being used on another bike. Thankfully, Bikesure took my sports bike riding experience into account and agreed to cover me at a competitive premium. Trevor is 42 and has held a full motorcycle licence for 15 years. He has just has bought a 2008 model Ducati 999S, for which he paid £6,000. He lives in Bridport, Dorset (DT6) and will be using the bike for social domestic and pleasure purposes. Trevor has been fearing the worst, as despite his experience he has no current no claims bonus available to use on this policy. Trevor's rate is just £348.49 fully comp or only £175.66 for Third Party Only protection. Stuart is 36 and lives in Aberdeen (AB15). His pride and joy is his 2006 Honda CBR10000RR Fireblade, which is worth around £5,000. He has owned the bike for 18 months and has held a full category A motorcycle licence for 2 years.Stuart loves taking the bike out for a run on weekends and he has two years no cliams discount available to use on this policy. Stuart's rate is just £250.00 for fully comprehensive cover, or a tiny £130.00 for Third Party Fire and Theft.